Join the most epic battle of all ages and destroy your enemies in the unlimited money hack for Legendary Heroes android game by Monstro. - Quick and intense matches with touch controls tailored for Android. - 4 unique special abilities per character. - Control 3 heroes in the same match. 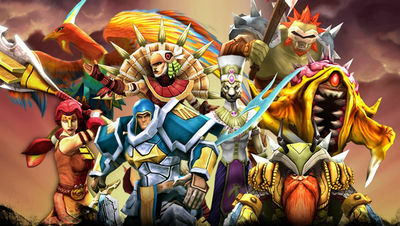 - Keep the leveling progress of each Hero across matches and develop as many of them as you want. - Thirty maps providing unique challenges for all players - beginners or veterans. - Use power ups to improve your characters, make them faster, stronger or tougher. - For FB login, try remove your Facebook App and login again. Unlock version maybe coming soon, but I think this one is better! When I installed the unsigned version,it crashes.Please I want to play this game badly. so if you dont know what you're doing, dont download UnSigned apk!!! search online "how to install UnSigned APK"
My baddd.Sorry about that.I forgot to patch the" Signature Verification status always true "